Due to its long-lasting durability and ability to support a significant amount of weight and pressure, reinforced steel (rebar) has long been used in a wide range of commercial and industrial applications. It is the material that provides the supporting framework for everything ranging from bridges to skyscrapers, and is best known for its long-term capabilities. Unfortunately, unless proper construction measures are adhered to, a number of things can wrong with rebar, some of which can very well risk the structural integrity of the building it is supposed to be supporting. As such, addressing issues early on can prevent them from escalating into something more serious and potentially dangerous. One very common rebar problem, for instance, is rusting. Depending on the climate and if the structure in place is consistently exposed to moisture (for example, the undercarriage of bridges over water and the inside of pool can be major trouble spots), corrosion can occur. This can lead to unsightly rust stains and, if left untreated, weakening of the rebar. Contractors understand the importance of preventing these situations from occurring in the first place, which is why experienced builders only use proper rebar construction tools (rebar cutters, rebar benders, etc.). If you are working with reinforced steel, knowing the correct way to fix issues that have been known to affect it, rather than taking shortcuts or avoiding the issue altogether, is essential. 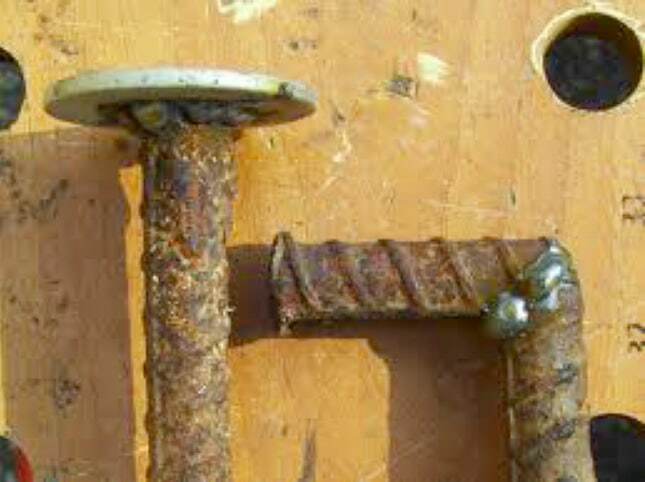 Here are a few examples of rebar in need of repair, and how to properly correct the problem. As you can clearly see in this picture, the rebar that was originally placed inside of this concrete structure has become exposed. 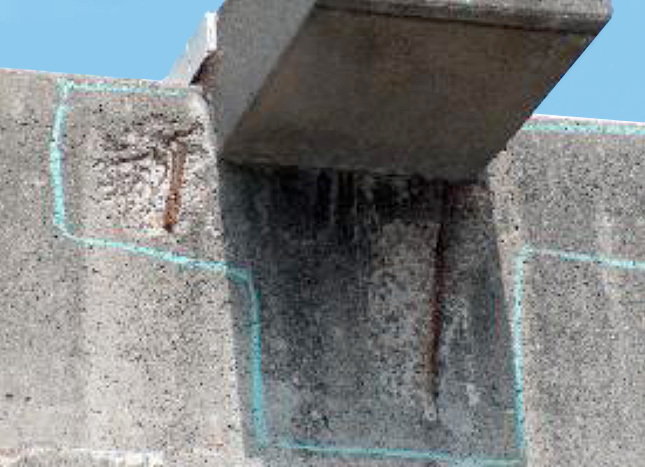 This can happen for many reasons, but what is going on here is called “spalling.” It is the result of water penetration; the water enters through the crevices of the concrete and comes into contact with the metal, which, over time, leads to rusting of the reinforced steel and corrosion from the inside out of both the rebar and the concrete. Spalling is best corrected by using a high-pressure sprayer to remove any and all surface rust that may be present. Next, a specialty protective coating containing anti-corrosive agents is applied to the exposed metal to prevent further damage. After this material has set, fresh mortar can be applied to fill the gap and in effect cover the exposed rebar. 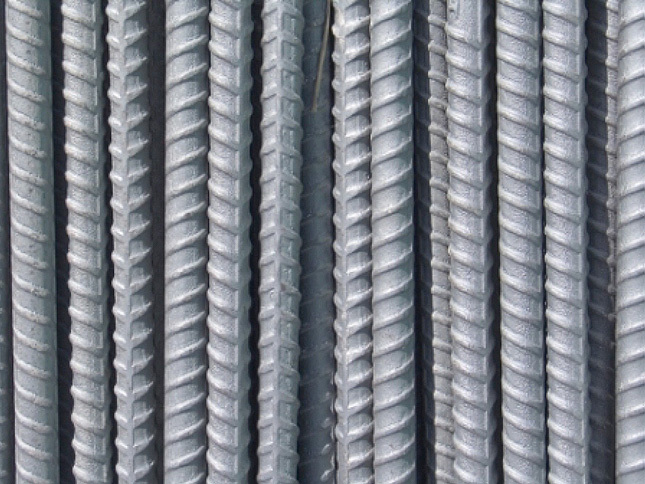 The feature that makes rebar so strong is the presence of many small ridges. A smooth piece of metal does not fare well when it comes to keeping thousands of pounds of weight from slipping, which is why proper threaded fastening is so important. There is a certain way to thread rebar, and it entails milling the end pieces to a specified size and shape. This process can only be performed successfully with proper rebar tools. Attempting to insert threads without first measuring and trimming the ends could end up causing the structure to be offset and unstable. Reinforced steel is manufactured in long sticks that need to be sized and bent accordingly before they can be used for a number of projects. When framing, builders must rely on precision accuracy with respect to the dimensions being cut and the angles being used. To ensure these conditions are met and to correct any errors, rebar cutters and rebar benders are utilized on site. These tools provide their users with consistently accurate strips. Reinforced steel is malleable, but it should not be bent excessively. Manually bending a piece back and forth can risk decreasing its durability. Thus, using a tool specifically made for this purpose eliminates mistakes and reduces completion times.